Serenity NOW! Check out this new video for more information on Serenity-RC: Premium results. Third-party tested. Radically affordable. SCAFCO’s Press Brake provides quick turnaround times on all parts up to 24’ long. Being a preferred distributor of SCAFCO gives CWallA ultra-fast turnaround on all their custom brake shapes. We offer short lead times on all parts up to 24’ long, manufactured at SCAFCO’s Spokane, WA and Stockton, CA plants. Your custom shapes will be made according to your exact specifications. 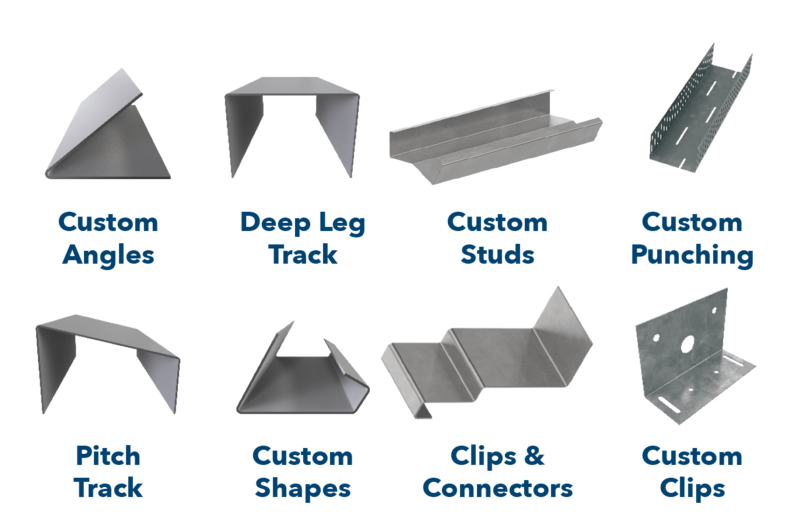 Products available from the press brake include custom angles, deep leg track, custom studs, pitch track, and custom shapes and headers. Contact your local CWallA branch today for all your custom shapes!